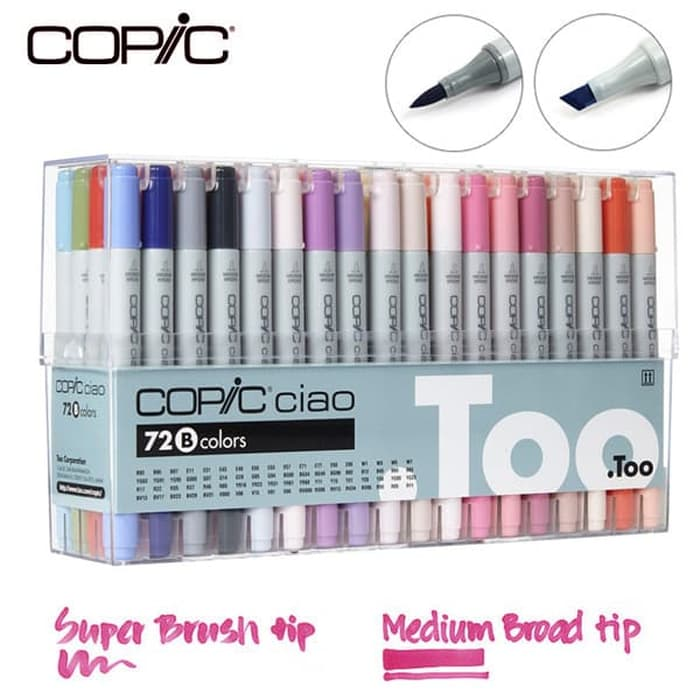 Copic Ciao Markers are the perfect choice for beginning artists, offering all the features of the Copic Sketch Markers in an economical size. These colored ink marker pens are made specifically for those who want to try using markers in their artwork for the first time. The solid polypropylene body is smooth for a comfortable, controllable grip. Two durable polyester nibs are at your fingertips with these double-ended markers: a Super Brush nib on one end and a Medium Broad nib on the other. Both are replaceable.